Fontana – Friday, March 30 was National Doctor’s Day, a day dedicated to recognizing the contributions physicians make to the lives of individuals and communities. 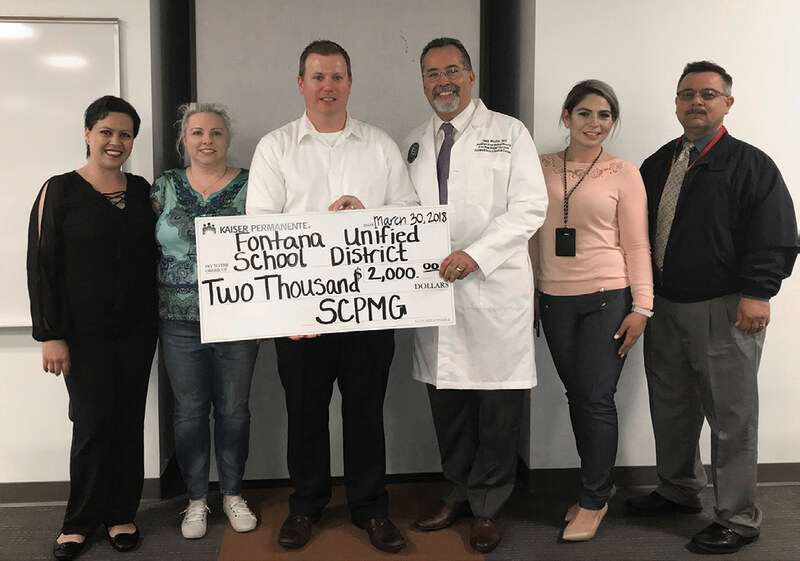 In celebration of this event, Southern California Permanente Medical Group (SCPMG) in San Bernardino County presented $4,000 in donations to two local school districts. The Chaffey Joint Union High School District and the Fontana Unified School District were awarded $2000 each. The checks were presented to the schools at the Doctors Day Luncheons on Friday, March 30. SCPMG physicians were in attendance at two local celebrations. 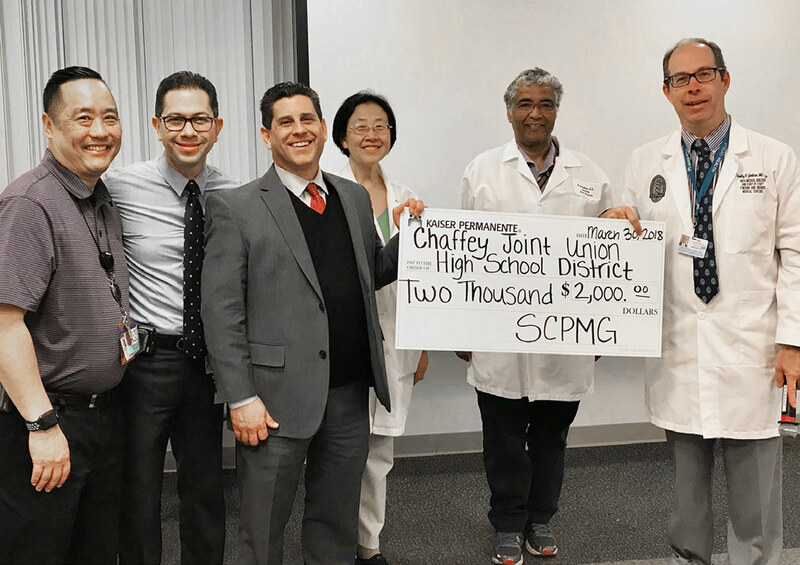 The donation to Chaffey Joint USD was presented at the Kaiser Permanente Ontario Medical Center luncheon and the donation to Fontana Unified School District was presented during a luncheon held at the Kaiser Permanente Fontana Medical Center. This year was the fifth year in a row that SCPMG physicians in San Bernardino County have made major donations on Doctors Day. The day marks the anniversary of the first use of general anesthesia in surgery. It was designated as such by President George Bush in 1991 and is celebrated each year on March 30. Kaiser Permanente currently serves more than 4 million members in the Southern California region.